For thrills and a healthy Gulf Coast serving of family-friendly fun, visit the Kemah Boardwalk. Known as one of the top attractions in Houston’s Bay Area, the boardwalk is home to amusement rides, midway games, waterfront restaurants, shopping, live entertainment, special events, and the spectacular Boardwalk Inn. Along with the many things to see and do, the boardwalk provides an arresting view of beautiful Galveston Bay and plenty of places to sit back and take it all in. Whether you’re looking for heart-pounding rides, fun for all ages, or a great place to hang out and admire the beauty of the Texas Gulf Coast, you owe yourself a trip to the Kemah Boardwalk. Read on to discover the multitude of experiences you may have at the boardwalk. Soar to new heights, and enjoy a great view of the entire waterfront, on the Iron Eagle, where you will fly at 30 miles per hour 100 feet over the boardwalk. Meanwhile, the Boardwalk Bullet wooden roller coaster begins with a 92-foot drop and takes you through countless twists and turns. There’s also The Flare, a 73-foot tall loop that circles you forward and backward, and the hair-raising Drop Zone that plunges you 140 feet at once. If you like your rides a bit slower, Kemah Boardwalk has you covered. Favorites like the double-decker carousel, the Ferris wheel, and the C.P. Huntington Train, are among the many rides you can enjoy if your heart needs a break. Also on site is the Stingray Reef & Rainforest Exhibit, where you can feel and feed live stingrays and explore a rainforest exhibit with turtles, snakes, piranhas, tarantulas, and more. Want to get out on the water? Climb aboard the Boardwalk Beast Speedboat Thrill Ride and you’ll be zooming across Galveston Bay before you know it. The speedboat takes off from the Kemah Boardwalk and runs seasonally, so be sure to check the Boardwalk Beast’s schedule when planning your trip. All of these amusement rides, combined with the midway games, an arcade, a playground, and the dancing water fountains, will leave you wanting to come back for more. After working up an appetite on the rides, there’s a multitude of Kemah Boardwalk restaurants on the waterfront that serve tasty cuisine from all over the world. Match a prickly pear margarita with enchiladas suizas at the Cadillac Bar, which has a full menu of Mexican favorites. For a savory meal, try the bleu cheese bacon wrapped filet and garlic mashed potatoes at Saltgrass Steakhouse. Red Sushi Hibachi Grill offers fresh sushi, a hibachi grill, and traditional entrees to pair with a wide variety of sake. Refuel with a slice at the Pizza Oven, breakfast and sandwiches at Bayside Grille, a latte at Starbucks, or a waffle cone at Sweet Scoops. Of course, there’s a plethora of seafood options with the Aquarium, Landry’s Seafood House, The Flying Dutchman, and Bubba Gump Shrimp Co. located on the boardwalk. If you can’t make up your mind, the Lighthouse Buffet has you covered with its 75 feet of buffet lines. Needless to say, you’d better bring your appetite when you visit the Kemah Boardwalk. 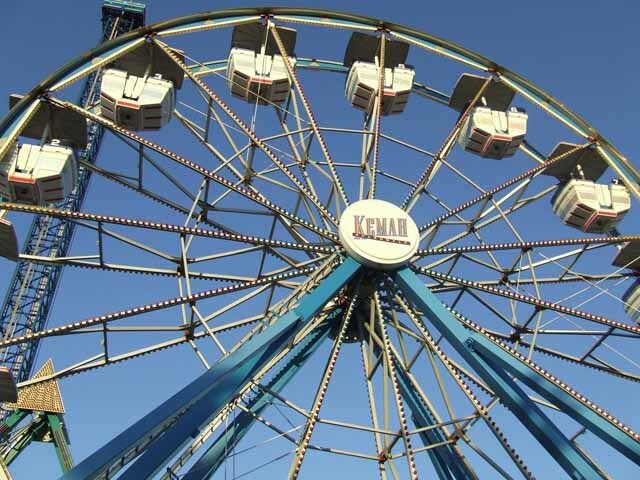 The Kemah Boardwalk has plenty of live entertainment, numerous events, and festivals throughout the year. There are many holiday-themed celebrations, fun runs, and garden and car shows held on a regular basis. For example, the Rock the Dock Summer Concert Series showcases live music every Thursday night from May through August.The boardwalk has Fireworks Fridays in June and July, and Salsa Sundays in July and August. 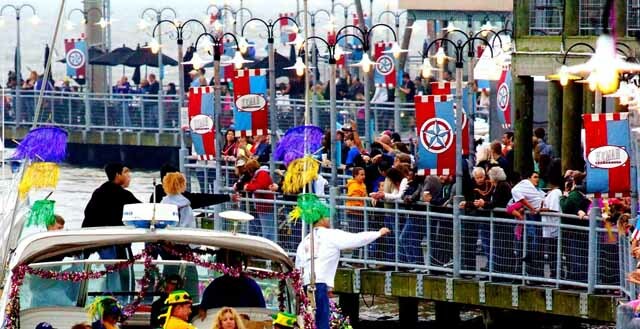 Whether it’s the Craft Beer Festival; Blues, Brews & BBQ; or the Crawfish & Zydeco Festival that interests you; attending events at Kemah Boardwalk is one of the most popular things to do in the Houston area. 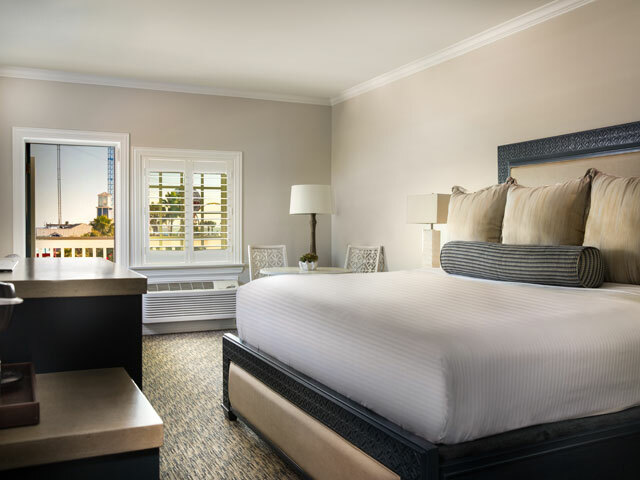 After a full day of adventure, hang your hat at the Boardwalk Inn, a waterfront boutique hotel with 48 premium guest rooms, four luxury suites, two junior suites, and four off-site condos overlooking the Galveston Bay. Enjoy all the charm of a beach getaway with the Boardwalk Inn’s private balconies, nautical artwork, and an outdoor pool and hot tub. Guestrooms feature Keurig Coffee Makers, complimentary Wi-Fi, and upgraded bath amenities by Gilchrist & Soames. Stay & Play packages are available for discounts to the Kemah Boardwalk, and Stay & Cruise packages are available for discounts to the Boardwalk FantaSea, the largest charter yacht on the Gulf Coast. All of this is available at the Boardwalk Inn, the only hotel on the Kemah Boardwalk. Stay at the Boardwalk Inn and you’ll be just steps away from everything the Kemah Boardwalk has to offer.